Summer has finally arrived, and here in Colorado it has come in full swing! The sun is hot, and our vegetable garden is thriving! Now, if it wasn’t for Bella trying to eat the veggies that are growing, I wouldn’t even need to go grocery shopping. Okay, that’s a lie, but our vegetable garden really is taking off! Alright… enough about my garden and back to July’s menu! July is full of fun, starting with the 4th of July. We like to grill the entire weekend, so with the exception of a quick meal on Friday, we plan to grill out on Saturday, Sunday and Monday. Since we don’t have A/C, keeping the house cool really depends on dinner time. July’s menu is meant to beat the heat, and just use the oven with really necessary, keeping the mess to a minimum, and keeping the house cool while enjoying delicious kid-friendly dinners. Like in other months, the new recipes; Twice Baked Potatoes, BBQ Ribs, Grilled Pizza and the Italian Grilled Chicken will all be shared throughout the month, just to keep content fresh, and keep you on your toes! 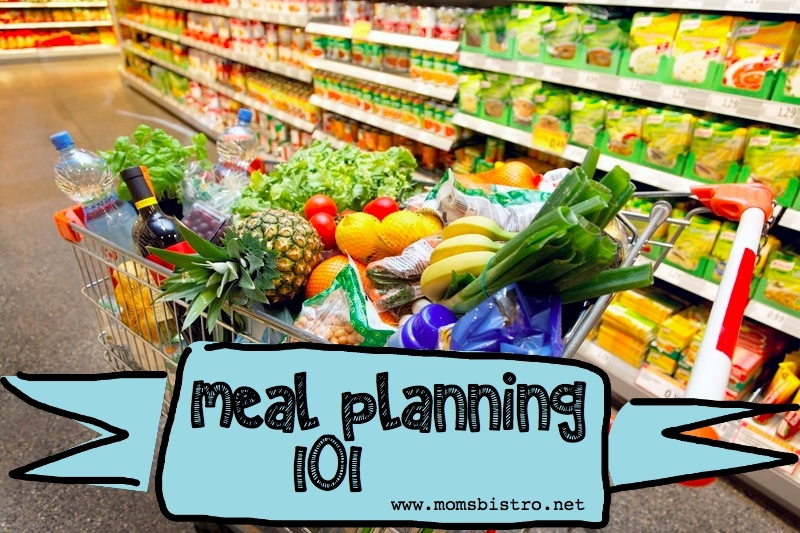 Planning a menu on a budget can be really hard because of the rise in food prices, but shopping around, knowing the sales in your area and shopping in bulk really helps cut costs. For example, this months menu has ground beef as an ingredient in five meals. If you’re buying ground beef a pound at a time at the grocery store, it can cost you up to $4-5 a pound, if not more. But, if you buy your ground beef in a family size pack, or get it somewhere like Costco, you’ll save a ton because ground beef usually costs only around $2.50-$3 per pound. Last week, I got 4.5 lbs of ground beef for $16 at Costco – I froze it in 5 different sandwich size ziplock bags so that I had 5 meals worth of ground beef. The smaller bag if the 5 is perfect for the end of the month when we have Cheeseburger Macaroni. Buying chicken in bulk is a huge money saver too, our local Sprouts offers chicken for $1.77/pound at least once a month. And with all of the chicken we make, it just makes sense to buy it in bulk. To figure out the prices by shopping around and figuring out where I could get the best deals. To do this, I look at my sales flyers, and the personalized coupons on the grocery store apps on my phone. These personalized coupons are where I save the most money. THREE times last week, I went to the store and saved more than I spent. It was a very rewarding feeling. I round the prices up to the nearest even dollar amount, unless it’s produce, then I leave the amount as is for the weight. You can save so much more money by shopping at Walmart. Their canned and dry goods are always such a great price. You get the same items as at your traditional grocery store but half the price. This is where I buy some of my dairy too, because it saves me so much money. For example, while on sale, taco shells are around $1.25 at the grocery store, and are only $1 at Walmart. The little savings like this really add up to save you on groceries. So what’s for dinner? If you’re looking for the printable version of the recipes, menu and grocery lists, scroll down to the bottom for the PDF version. Twice Baked Potatoes – NEW! Italian Grilled Chicken – NEW! 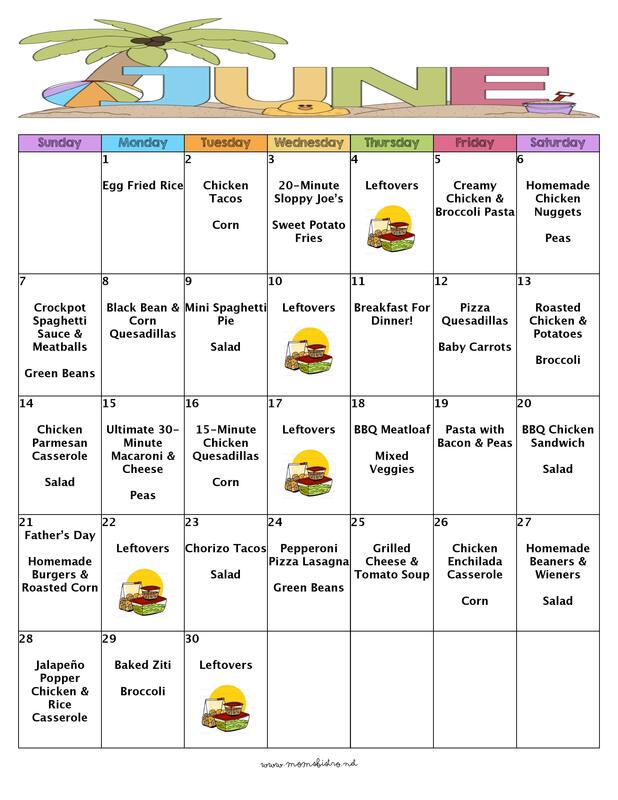 Jump For Joy with June’s Menu Plan! 30 Days of Kid-Friendly Dinners for $221! Thanks you, you make my life so much easier!!!! !